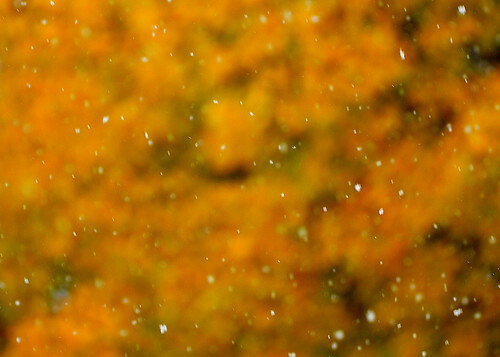 Autumn snowfall, originally uploaded by -SPK. We enjoyed our first snowfall in Easton this weekend. In this photo, I used a 150mm lens and focused half way between me and a beautiful Oak in her autumn colors across the way. Hope you enjoy it.